While his teammates were talking about him, Dulaney was talking about Niemchak. “Joe did not play as well as he could because of his injury. He could not run or score the way he usually does, but he still helped his team.” Niemchak attributes his ability to play despite being in pain and along way from being at 100% to adrenaline, determination and a love of the game. 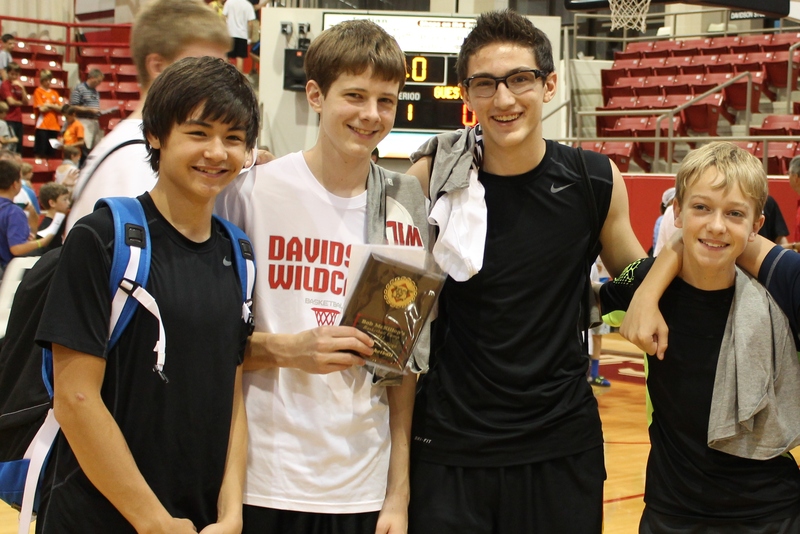 Wondering if the Bob McKillop camp is right for your son next year? Niemchak had this to say about his camp experience “Camp was great !! I got to play lots of basketball and meet new people”. June 23, 2013 in Archive, Class of 2017, Triangle AAU Basketball.